SMART Calling (Sales & Marketing At The Right Time) is Callbox’s proprietary technology designed to get our clients in front of their target prospects at times when engagement and conversion rates are most optimal, leading to a higher percentage of success calls. Lead scores are an indication of your prospect’s sales-readiness based on demographic and behavioral scores. They are an integral part of your prospecting process, giving you insight as to WHO to pursue first. But that isn’t enough. Not anymore. Not for us. We’ve decided to take your lead generation to a whole other level with SMART Calling. Knowing who among your prospects are more sales-ready than others is only half the battle. The real test is REACHING those targets you’ve singled out to be ready to move further down the sales funnel. SMART Calling proceeds to prioritize calls in real-time, moving up calls to prospects with the highest SMART scores, giving you a higher probability of speaking with your target decision maker. Lead scores show you WHO to call, SMART Calling shows you WHEN to call. While predictive dialing edges out manual dialing by 300% in talk time per hour, SMART Calling goes even beyond that by calculating not just when your own agent is available to talk, but more importantly, when the target decision maker himself is most reachable and available to talk with you agent. SMART Calling enables your agent to reach your warm prospect at the right time with less of the agent’s time wasted on busy signals, voicemail or no-answers, and more time for actual talk. SMART Calling processes contact data and makes adjustments in real-time, improves agent productivity levels with less idle time and more talk time, and gets you in front of your target prospect at the best time – when they are most interested and willing to hear what you have to offer. SMART Calling allows you to strike while the iron is hot. 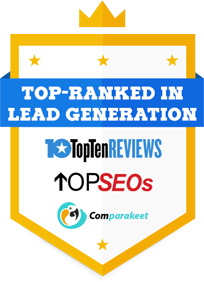 It is the most efficient way to run your lead generation campaign. Call or email us about SMART Calling today.